Long Creek Falls is one of the most traveled trails in the Blue Ridge mountains. The hike in is 1.9 mile gradual ascent. You will pass by a creek and several smaller waterfalls on your way to Long Creek Falls. After approx. 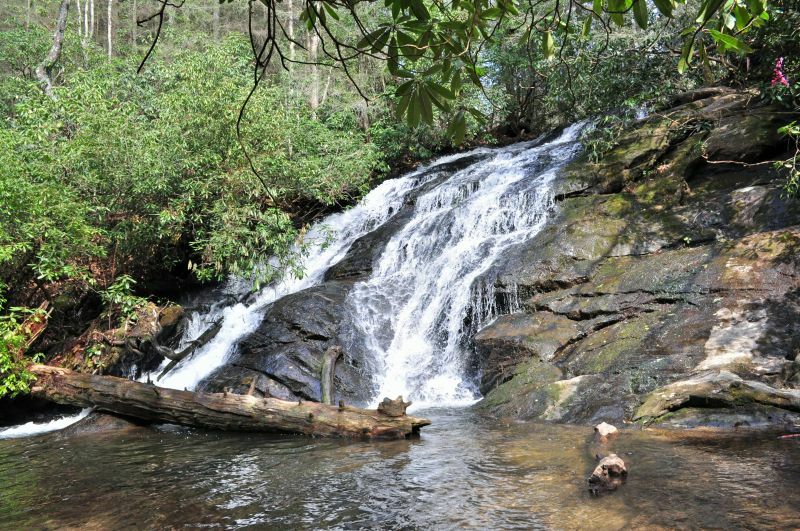 1.5 miles, you will see a wooden sign leading you to Long Creek Falls. Long Creek Falls is a set of two 50 foot waterfalls located in the heart of the Blue Ridge mountains. Across from the wooden sign that says "Long Creek Falls", you will find the entrace to Springer Mountain which is the beginning of the famous Appalachian Trail. HELPFUL TIPS FROM LOCALS: You will park on the right side of the road. There are trails to both the left and right side of the road. You will take the LEFT trail to go to Long Creek Falls.